The Middle Eastern country is slated to build 16 nuclear reactors in the next 20 years for $80 billion. 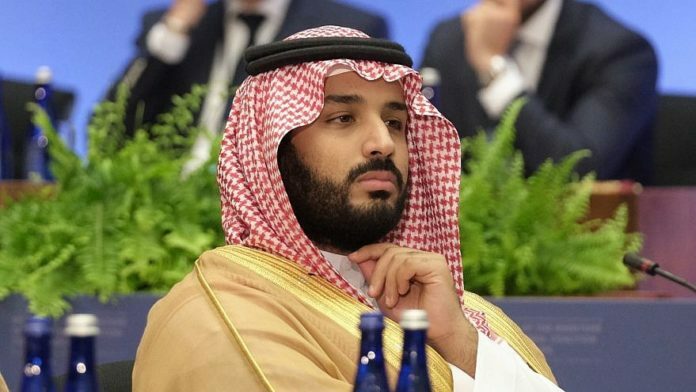 (November 6, 2018 / JNS) Saudi Crown Prince Mohammed bin Salman launched the building of his country’s first nuclear reactor on Monday during a visit to Riyadh’s King Abdulaziz City for Science and Technology, according to a report by the Saudi Press Agency. Saudi Arabia is currently the world’s top crude exporter, and uses oil and natural gas for power and water desalination. But now the country is slated to build 16 nuclear reactors in the next 20 years for $80 billion. Though Saudi Arabia and Israel are both enemies of Iran and allies of the United States, Israeli Prime Minister Benjamin Netanyahu requested that U.S. President Donald Trump commit to stopping a deal to sell nuclear reactors to Saudi Arabia. Trump reportedly refused, telling Netanyahu that if the United States refused to make the sale, the Saudis would acquire the same materials from Russia or China. Netanyahu subsequently requested that if the sale went through, it should include a stipulation that Saudi Arabia not be permitted to enrich its own uranium, which is a critical ingredient in the creation of nuclear weapons.